The Oregon Coast has many interesting places to visit, each with its own personality. Visitors will find an abundance of things to do in Coos Bay both in the water and on land. The Coos Bay area was the ancestral home of the Confederated Tribes of Coos, Lower Umpqua and Siuslaw Indians, and the Coquille Indians. With just short of 16,000 people, Coos Bay is the largest city on the Oregon Coast. Its port is the deepest port between Seattle and San Francisco. The economy of Coos Bay is a blend of shipping, shipbuilding, agriculture, myrtlewood production, and tourism. 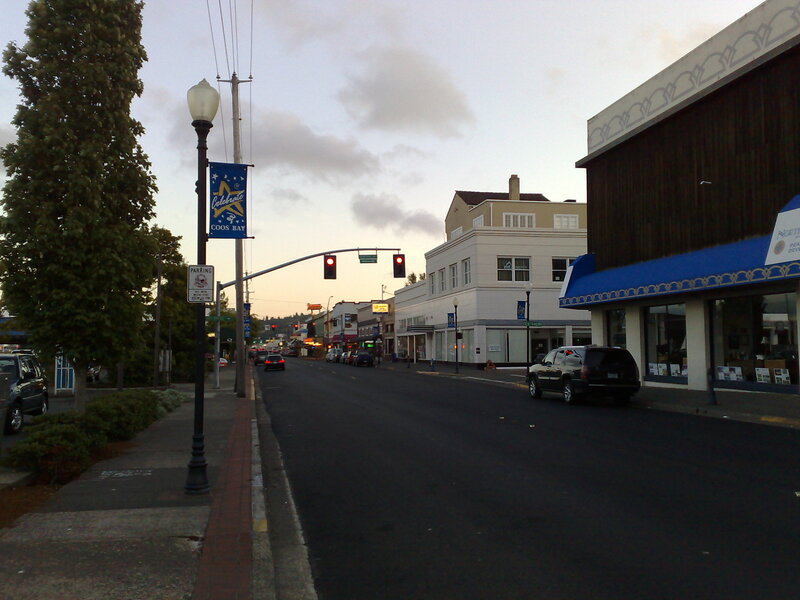 To become acquainted with Coos Bay, you can take a walking tour of the downtown. The self-guided tour will lead you to 15 historic buildings and homes, some of which are on the National Historic Register. All of the stops on the tour were built between 1884, and 1920. The Coos Art Museum, housed in an art deco style post office building built in 1936, is the third oldest museum in Oregon. The Art Museum is well respected in Oregon and around the nation. The museum has hosted an annual maritime artists’ exhibit for the last 19 years, and was recently selected to house the 15th National Exhibition of the American Society of Maritime Artists from March 22 – May 18, 2013. Coos Bay is one of only seven U.S. cities – the only one on the West Coast – to host the exhibit. The Oregon Cultural Trust Board (partially funded by Oregon’s cultural license plates) has allocated the Coos Art Museum $4,800 to help support this exhibit. The bay and the ocean combine to provide an abundance of recreational activities. From the boardwalk you can watch the enormous ocean-going vessels as they move in and out of the bay. Besides these freighters, there is room for you to go water-skiing, swimming, scuba diving, sailing, canoeing, kayaking, or fishing. Along the pier, in the bay, and on the beach you can go crabbing all year round. You can also take a boat in search of whales or deep-sea fishing. Walking along any of the beautiful beaches, you can find shells, driftwood, and polished rocks. Sometimes people also find banded agates, agatized myrtle, jasper, and other woods. You can explore the tide pools, and observe the tiny animals and plants that live in them. These marine organisms should be left in the tide pools and not harmed. If you are lucky, you might find one of the seals (northern elephant seals, harbor seals, steller sea lions, and California sea lions) that live here snoozing on the beach. If you are a bird watcher, you may see pelagic cormorants, black oystercatchers, and great blue herons. There are many public parks here for you to enjoy. One of the most popular parks, now known as Shore Acres, was once the private estate of Louis J. Simpson. Simpson collected trees, shrubs, and flowering plants from around the world and planted them in his gardens. As you walk through these beautiful gardens, look for the observation building where you get a terrific view of the rugged seascape and thundering waves. The view here is particularly astounding during winter storms. Coos Bay has a great deal to offer visitors. Come and visit. Coos Bay waits to share its many treasures with you.